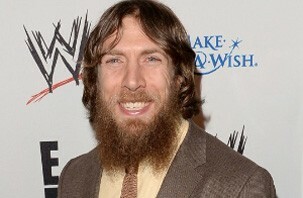 As we reported over the weekend, Dave Meltzer noted on his most recent edition of Wrestling Observer Radio that Daniel Bryan was sent home from the WWE European tour because he was diagnosed with a concussion which was believed to have been suffered during Bryan’s Smackdown match against Sheamus. Prior to the report of Bryan suffering a concussion surfaced, WWE issued a statement noting Bryan had been sent home from the tour as a “precautionary measure” and offered no further details on Bryan’s condition. Whatever the diagnosis, here’s to hoping the issues don’t involve Bryan’s already injured neck, as that could lead not only to future health problems for Bryan, but also a shortened in-ring career.